31-W Insulation would love to help make your garage door replacement project a straightforward and streamlined process. We serve homeowners in Greenville, South Carolina, and throughout the nation, providing both one-of-a-kind home improvement products and phenomenal service. In fact, we have an A+ rating with the Better Business Bureau, and we’ll bring this high-level of service to your project to ensure your total satisfaction. Durable material – Your garage door will be fabricated from rugged and long-lasting steel that needs little maintenance. The door’s wind-load design will also help it resist high wind speeds during severe weather events. Safety hinges and brackets – The risk of hand injuries will be minimal thanks to the flush-mount hinges of these doors. Your garage door will also have tamper-resistant bottom brackets to protect the mechanisms under tension from coming apart while the door opens and closes. This will help protect against injury. Multi-layer insulation – You can choose one or several layers of insulation for your garage door so that it helps create the type of climate you want in your garage. 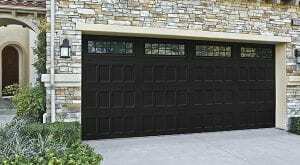 What’s more, you’ll have a plethora of aesthetic options available to you for your garage door replacement, so you can customize your garage door just the way you want it. These options include more than 20 gorgeous colors, a wide variety of woodgrain finishes, stylish decorative hardware options, and different window designs and shapes for the door. You can also choose either a traditional, carriage, or specialty garage door style so that the door you end up with matches your home’s architecture. For more information on our garage door replacement process and garage door products, contact 31-W Insulation. We’ll be happy to schedule a free consultation at your home in or around Greenville, SC, to answer any of your questions.